The Sunshine State has the second-highest number of uninsured motorists in the country, as an estimated one in four Florida drivers have no insurance. Furthermore, Florida has one of the lowest insurance minimum requirements in the country. So, there is a good chance that a tortfeasor (negligent driver) may not have enough insurance coverage to fully compensate a victim, especially if the car accident involved catastrophic injuries. Fortunately for victim/plaintiffs, there are several available vicarious liability theories which apply if the tortfeasor was an Uber driver, taxi driver, bus driver, or other commercial operator. Foreseeability: Any event that is a natural consequence of the employee’s service is foreseeable, and a vehicle collision is a natural consequence, although not an inevitable consequence, of driving a vehicle. In some cases, the foreseeability rule may be expanded even further. Course of Employment: Any service that confers any benefit on the employer, even something as slight as driving a vehicle which bears the company logo, is within the course of employment. In the unlikely event that the first or third prong in the respondeat superior test is not present, an employer may still be liable for damages under the negligent entrustment theory. Essentially, if an owner knowingly allows an incompetent driver to use a vehicle and that incompetent driver causes a car crash, the owner (the employer in this case) is responsible for at least a share of the victim/plaintiff’s damages. Special rules apply in some cases, such as commercial leasing transactions, and the foreseeability rule also applies in all negligent entrustment cases. Injury resulted because of the employee’s unfitness. If a nursing home hires a person with a prior assault conviction on her record and she negligently injures a resident, the nursing home would probably be vicariously liable. The outcome may be different, however, if the worker had a prior theft conviction and negligently injured a resident, because the prior conviction has very little to do with the tortious act. 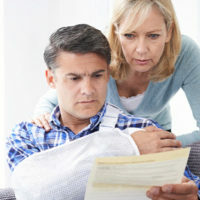 If multiple parties are legally responsible for the injury, the judge normally apportions damages among them based on their percentage of fault. Often, the tortfeasor is not the only responsible party in a car crash case. For a free consultation with an experienced personal injury lawyer in Brandon, contact Reed & Reed. We have four area offices (St. Petersburg, Lakeland, Tampa, and Clearwater).